Saratoga Jewish Community Arts presents “The Good, The Bad and The Ugly: One Young Woman’s Explorations of the Complexities of Israel,” on May 9 at 7 p.m. at Temple Sinai, Saratoga Springs. For most children, going to school is as simple as going around the block. For others, it’s the end of a long and dangerous journey through deserts, war zones, and hostile borders. In the volatile Middle East, some children have found happy refuge at Bialik-Rogozin, an extraordinary public school in the heart of Tel Aviv. Located in an area with many refugee and immigrant families, the school welcomes students from 48 countries – Jews, Christians, and Muslims alike. Many arrive fleeing violent pasts. Others have limited, if any prior education. For every child who attends, Bailik-Rogozin becomes like a home, open from morning to evening to accommodate parents’ long work hours. Jazlyn Hellman is currently a student at McGill University in Montreal, Canada. Following a gap year in Israel, she talks about her life-changing experiences volunteering at the Bialek Rogozin School and working with the African refugee community. She will also share her views of the current realities faced by refugees in Israel. Jazlyn uses the Academy Award winning documentary Strangers No More (Karen Goodman and Kirk Simon) to help lay out the picture for immigrant children coming from the most difficult of circumstances and the efforts to acculturate them to a new life in a new society. Johannes is an Eritrian refugee from Ethiopia who comes to the school at age 12 with no prior education or knowledge of Hebrew. Having spent most of his life in and out of refugee camps across the Middle East, Johannes’ father is now struggling to obtain a long-term work visa in Israel, and is grateful for the chance to have Johannes attend school for the very first time. At first, Johannes is shy and seems lost due to the language barrier, and is taken under the wing of Smadar Moers, who teaches him Hebrew. After a slow start, Smadar realizes that Johannes is nearly blind in one eye and brings him to an eye clinic, where he is prescribed corrective lenses. Within three months, Johannes is thriving – translating into Hebrew for new students, riding a bike that Smadar gave him, joking with classmates, and eagerly travelling to school each day. Mohammed is a 16-year-old from Darfur, who fled to Tel Aviv three years ago after seeing his father and grandmother shot to death. His sharp mind and tremendous determination enabled him to make up the years of study he never had. Mohammed finished several years of course work at Bialik-Rogozin in only one year, and will soon graduate. A few days before the ceremony, Principal Karen Tal marvels at Mohammed’s progress, proudly telling him, “I think climbing Mount Everest would be easier than the journey you’ve made here.” After graduation, Mohammed received a college scholarship; he plans on returning to his village to establish a school there, to pass on what he has learned from Bialik-Rogozin. 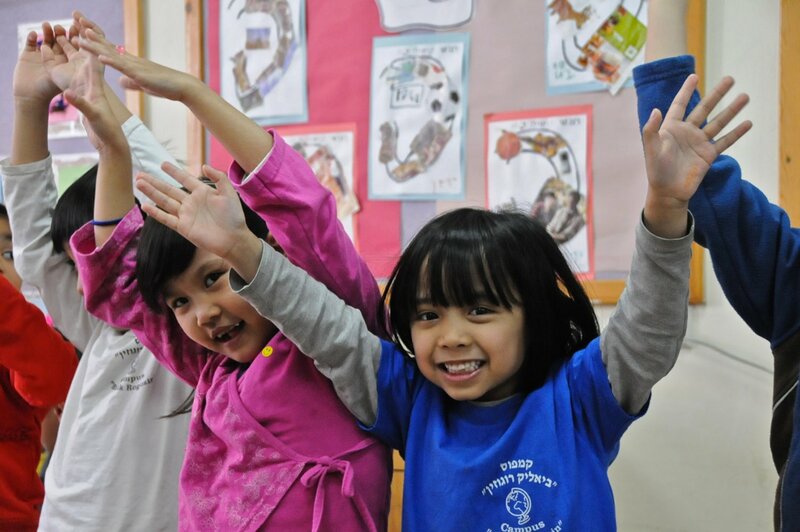 Though the students hail from dozens of different countries, Hebrew is the common language that brings them together. Several students describe having not been able to understand when they first arrived, but slowly, through daily Hebrew lessons, they began to be able to speak the language – opening up a whole new world to them. In addition, since many of Bialik-Rogozin’s students have lived through horrific traumas, teachers at the school tend not only to their education, but support their psychic and physical needs as well. Dessert reception following film and discussion. For information and reservations, call 518-584-8730 Opt. 2 or email office@saratogasinai.org.